What Happens To You During a Car Accident? When our lives are threatened, humans develop an instinctive defense against danger, fight or flight. The term “fight or flight,” is often associated with circumstances under which adrenaline and other natural hormones are released into the body when we undergo some traumatic event. With dilated blood vessels and air passages, the body can pass more blood to the muscles and increase oxygen in the lungs in a prompt manner, resulting in a boost in physical performance for short bursts of time. For example, if we are involved in a severe auto accident, we experience an energetic feeling that gives us the power and strength to either escape or attack. This adrenaline rush can be intense and is often used to avoid danger or react quickly and even help rescue others. Have you ever been in a car accident and felt an extreme sense of urgency take over your body giving you the ability to react quickly to danger? Or after a collision you walk away pain-free claiming you haven't suffered any injuries? Many patients report auto accident injuries arising 2 to 3 days after the incident and often leave a crash reporting no injuries. It's also common for people to describe a car crash in slow motion, know as slow motion perception. What causes our bodies and minds to react to threatening events in this way? What is the science behind this and does this protect us from harm? Natural hormones are secreted throughout the body when we undergo some traumatic event. Other activities that can spark these chemical reactions include bungee jumping, high altitude, nail-biting football match, bike stunts, and even watching a movie or reading a book. Often we don't think twice about these heightened senses, but when our lives are threatened we develop an instinctive defense against danger. 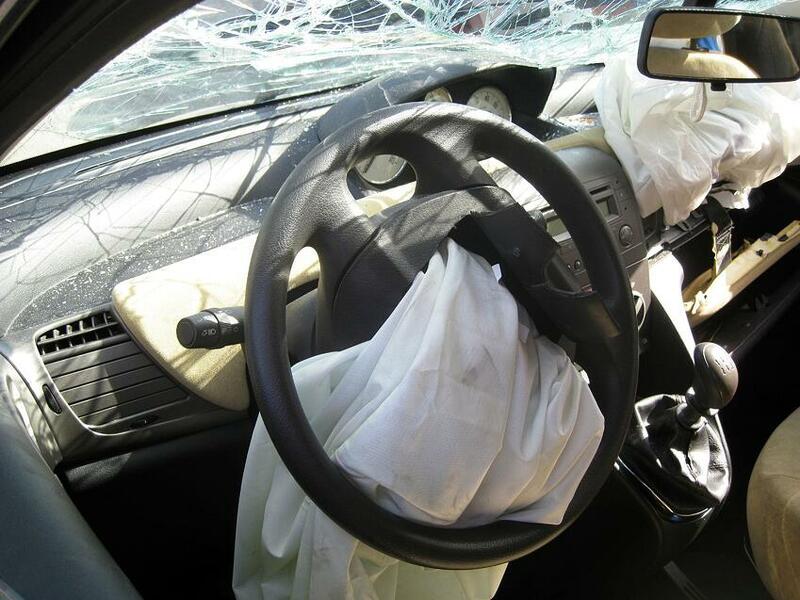 Experiencing a car accident certainly qualifies as a catastrophic event. From fatal collisions to fender benders, there is a significant amount of force involved when a vehicle hits. Often people affected by crashes leave the incident without noticing any injuries or have difficulty recalling details. This occurs for many reasons, in this article, we will discuss what chemicals are released in your body that help protect and increase your survival rate. The term “fight or flight,” is often associated with circumstances under which adrenaline is released into the body. This built-in mechanism dates back to our early ancestors allowing them to cope better with dangerous and unexpected situations. For example, if we are attacked by a dog or involved in a severe auto accident. We experience an energetic feeling that gives us the power and strength to either escape or attack. Because of this, an adrenaline rush can be intense and used to avoid danger or react quickly and even help rescue others. Its function is to make you feel faster, stronger, and feel less pain which are survival traits. Sometimes with a sudden loss of adrenaline and endorphin rush can result in sudden fainting. This sudden fainting episode is caused by a drop in blood pressure and heart-rate, and should not be confused with the fear response. The unexpected release of intense emotion that was suppressed during the adrenaline surge, most often this erupts in the form of crying. Adrenaline is a natural hormone that is produced by the body and secreted throughout the body when we undergo some traumatic experience. An Adrenaline Rush is an incredibly intense feeling such as sadness, happiness, or any other intense emotion. The purpose of this hormone is to create a powerful natural reaction designed to give our bodies the strength to escape or attack a dangerous threat. The reproduction of endorphins requires positive stress such as, diet, exercise, and general well-being, but stress and pain trigger their release. Glad, sad, and mad, with fear as a sidebar. In general, a person is typically in glad mode. If stress weakens a persons’ state to sad or mad, endorphins are released for re-elevating them to glad. If fear is ignited, endorphins similarly allow coping by providing a feeling of calm euphoria. Therefore, our brain maintains a certain quota of endorphins to ensure survival under duress. Most car accidents will create a similarly heightened level of excitement. Your body will generate endorphins and adrenaline, which means you feel increased energy possibly a lack of pain. The same concept happens with athletes who are injured during a game, and they continue to play without noticing the injury until the game is over. That's because their bodies are producing adrenaline and endorphins, these two chemicals super-charge our bodies and even block pain. After a car accident, you should always seek medical attention immediately even if you don't feel discomfort right away. Your doctor will be able to tell you if you sustained any injuries and can monitor any symptoms of potential injuries, including red flags to watch out for. If you decide to make any personal injury claim after your injury, it's imperative you have documentation of your treatment and that you sought medical help within a reasonable amount of time. If you wait too long to see a doctor, you could risk losing your claim due to the fact of insufficient medical care after an accident. If you were involved in a vehicle crash and suffered injuries finding a trusted medical facility can be challenging. At Arrowhead Clinics we have a quality team of doctors and chiropractors that have been treating auto accident injury patients for over 40 years. We can also refer you to the best personal injury attorneys to help you through difficult legal processes regarding your accident. We offer free consultations and same day appointments, get better with us, visit us today.